What exactly is a ready-to-drink shake? 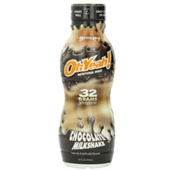 Ready to Drink Shakes are protein drinks that are, as their name implies, ready to drink. They do not need to be mixed or manipulated. These products come in bottles, cans, and cartons. While most of these have a significant amount of protein, they differ widely in their fat and carbohydrate content. This makes certain products better for certain goals than others. 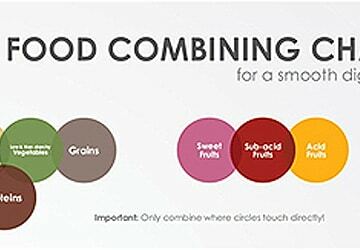 The five drinks in the following list are in random order, as what is “best” for one person may not be ideal for another. My goal is to provide products with different nutritional breakdowns that can supplement a healthy eating plan. Should I Use Ready-To-Drink Shakes To Replace Meals? 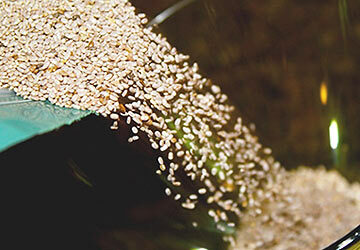 You should, whenever possible, get the bulk of your nutrition from real, unprocessed food. Let’s look at a hypothetical guy who has 40 pounds of fat to lose. He has no emotional connection to food and can eat whenever he wants. He has a personal chef who will freshly prepare any meal. 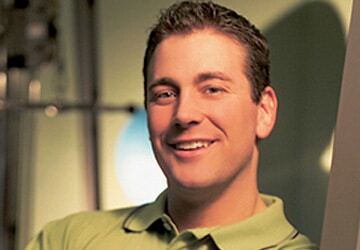 This guy should not use ready to drink protein shakes. However, for a guy with the same amount of fat to lose but who fights a sweet tooth, has 2 kids, a full-time job and only basic cooking skills, ready-to-drink protein shakes will probably make his life easier. Even the best RTDs have ingredients that you would probably be better off not eating, but if you can use them to achieve optimal body composition, the health benefits will likely outweigh any negative effects from fillers and strange ingredients. 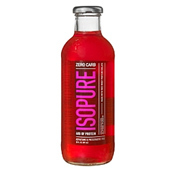 Isopure bottles contain 40 grams of whey protein isolate with only 1 gram of carbohydrate and no fat. They are lactose, aspartame, and preservative free. 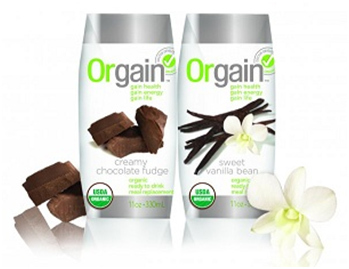 Coming in a variety of flavors, they are a convenient way to get your post-workout protein. Additionally, the bottle is large, which helps ensure adequate hydration. The two drawbacks are that the bottle is glass, and that most people should consume at least some carbohydrates after workouts, which this drink lacks. That, however, may also be a plus if your calorie budget is tight. 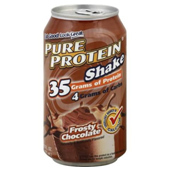 Pure Protein 35 contain 35 grams of protein from milk and casein, which are more slowly absorbed from the gut compared to whey and appear to have stronger anti-catabolic actions than whey. They come in 6 flavors and boast low fat (around 1 gram per can) and carb (between 1 and 4 grams). Because of the low carb and fat counts, this product makes getting your daily protein requirements easier while still allowing you to add food to make a “meal.” For example, a can of Pure Protein 35 combined with a small apple and ½ ounce of almonds provides 320 calories, 40 grams of protein along with healthy fat plus a variety of vitamins and minerals. 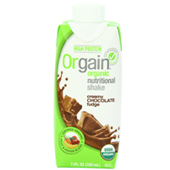 Orgain Ready to Drink shakes contain 16 grams of organic protein from whey and milk. 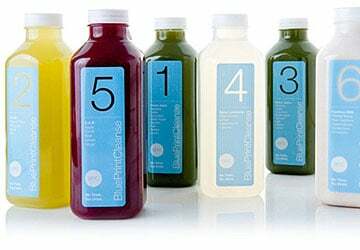 According to the manufacturer, one carton contains nutrients equivalent to 10 servings of fruit and vegetables. They are gluten and preservative free, containing no artificial sweeteners. 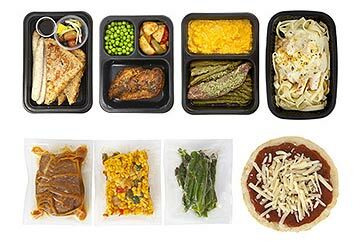 Still, for every 16 grams of protein, there are 7 grams of fat and 32 grams of carbs, so despite its stellar ingredient profile, it may not be the best choice for someone who is following a reduced carbohydrate, high protein nutrition plan. 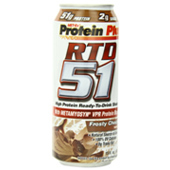 Containing 51 grams of protein, RTD 51 by Met-Rx also has less than 10 grams of carbohydrates. Fat content comes in at around 3.5 grams. While there may be a lot of ingredients, the low calorie count (well under 300) and high protein content make it an excellent choice as a meal replacement for a busy person. Of course, adding additional whole foods, like fruit, will boost its health-profile, assuming you account for the extra calories in your daily budget. OhYeah! RTD, manufactured by ISS Research, contain 32 grams of protein and around 5 grams of carbs. Fat content, at around 9 grams, is higher than most other products with comparable protein quantity, but these shakes are very filling and most people who drink them really like the taste. How Often Can I Drink RTD Shakes? 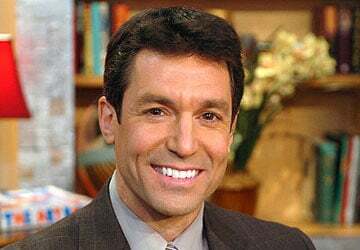 I certainly would not recommend living on RTDs, but using them to make a healthy lifestyle easier makes a lot of sense. Don’t replace all regular meals with these, but if you are just too busy to make your own shakes or prepare all of your meals, the shakes on this list make good alternatives. As always, consistency and maintainability are key when it comes to being lean and fit. Is drinking protein shake have negative side effects ? There are theoretical downsides to eating or drinking anything. High protein diets can worsen pre-existing kidney disease. If you have any liver issues it may be a problem as well. 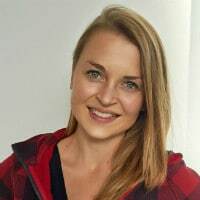 Other ingredients in shakes can also be potentially harmful, so like with any supplement, it is a good idea to get input from a qualified health care professional. I hope this helps. This obviously wasn’t the article I was looking for. Thanks for the drink suggestions, which IS what this article was about. 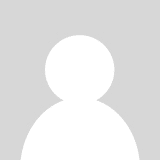 Can you recommend a good resource? I just want to know what I should eat, and how much of it. Plus, is it even possible to live on food alone, really, given the depleted nature of our planet’s soil? My husband is excited to try protein shakes but as his wife, I wanna be sure if that would be good for him or it would harm him. He’s 42 and he has this average size for an American man. He went to the gym before but that was like 10, 11 years ago. 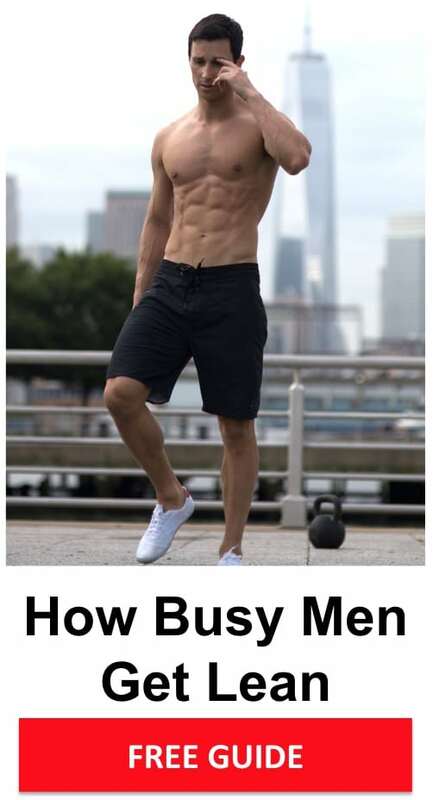 That’s why I want to know if it’s good for someone with his built and haven’t gone to the gym for years. I wanted to share this protein-based meal replacement that is amazing as a pre-workout meal! It is called MacroFuel. What are your thoughts on this relative to the other products that you recommended? Thanks for sharing! The only ingredient in that meal replacement shake that is a bit controversial in terms of true benefits is soy. However, if you use that protein shake and find that you’re getting the results you want, then keep using it! If you’re not getting your desired results, you might want to experiment with another plant-based protein supplement that doesn’t include soy, such as Vega Sport or Nutiva Organic Plant Protein.